It's my first day at my new job. My first full-time office job in over eight years. My first full-time office job since having children. After Lolly was born, I did go back to work full-time as a childminder, where I worked nine hours a day taking care of children, but I worked from home. I didn't have to leave my kids anywhere besides school. I was still able to throw a load of laundry in the washer and run my errands during my work day. This is going to be a whole new experience. I'm not gonna lie; I have no idea how people do it. I mean, who takes the car to the shop when it needs an oil change? How do you keep the laundry up to date and the dishes washed? When do you shop for groceries? What time do you eat dinner if you don't get home until almost 6pm? How do you cook every night when you've been at work all day? Talking to my other work-away-from-home friends, the answer seems most often to be "crock pot". An idea I can stand behind. I love my slow cooker. I am a regular slow cookerer. However, even dumping ingredients in a crock pot can end up taking half an hour, especially if there's other prep involved, like frying up the beef or chopping up the onions. I won't have time for that in the mornings, what with going to the gym, eating breakfast, getting dressed for work, and getting kids fed, dressed, and out the door on time. So being the planner-psycho that I am, I decided to try something new for these first two weeks of work. 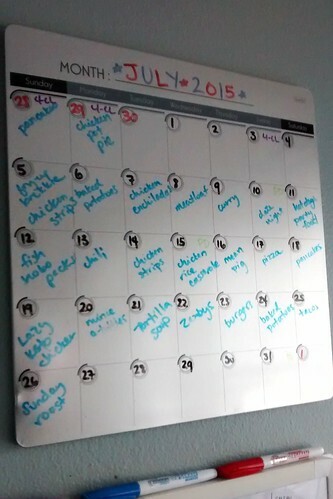 Yesterday, I made my monthly menu plan as always, followed by my grocery list. I took Jaguar with me to the Farmer's Market at 8am followed by the supermarket to pick up all the ingredients I'll need for the next fortnight. (Apparently, Saturday mornings are now the time one goes grocery shopping. I remember back when they were for sleeping.) When I came back home, I got to work. Everything I made should easily go into the crock pot in the morning and will be ready for dinner when we get home. In theory. I did some googling and got some ideas. I also used some ideas out of my own clever little brain. Together, I have hopefully come up with some ideas that will take one major chore off my daily To-Do list. 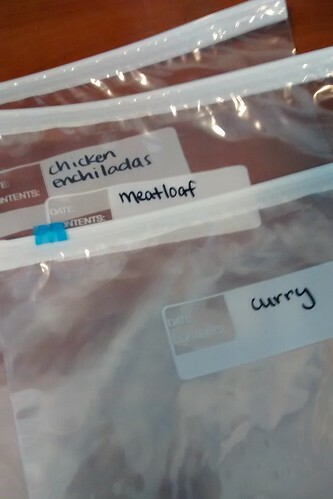 I started out labeling all the freezer bags. Learned The Hard Way: Label all before getting wet/frozen. I used some bags of mince or chicken that were already in the freezer and the moisture messed with my Sharpie. Anyway. 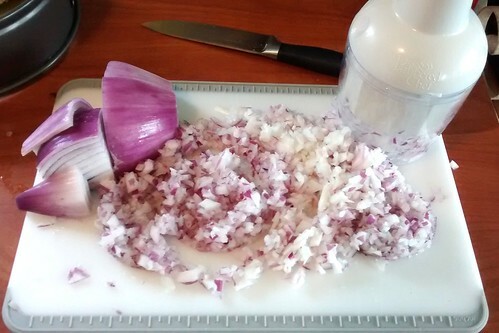 Next, I chopped up a buttload of onion. Buttload is the precise measurement of onion you will need to make seven freezer meals. I also minced a buttload of garlic. Then I just started filling bags. Some were easy, like the curry one. I simply purchased two jars of Tikka Masala sauce, which I combined with chicken breasts and some additional seasonings of my own liking. Some things, by the way, don't freeze well, like potato, so I'll need to remember to chop up some potatoes the night before and throw them in the crock pot with the bag that morning. (Thursday, I believe.) Then I'll just need to boil up some rice when I get home. Other meals took a little longer to throw together, like the chicken tortilla soup that required chopped onion, chopped cilantro and basil, and crushed garlic. Still, when you are crushing a buttload of garlic into a bunch of bags, it does make the process go a little quicker. Learned The Hard Way: Gallon bags don't stand up well on their own, especially when you pour enchilada sauce into them, and they tip over and run out. 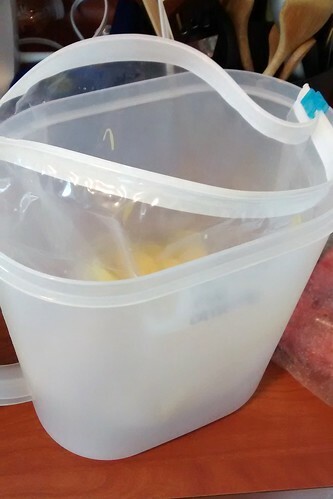 Google taught me to stand your bags in a drinks pitcher first, which is a very clever idea. I made tortilla soup, chicken enchilada mix (just need to throw the mix into some tortillas and into the oven for a few minutes when I get home), curry, chicken pot pie (same idea, throw in oven quickly with pastry over top), chicken rice casserole, chili, and meatloaf. The meatloaf is going to be interesting... I made it all up, formed it into a ball, and froze it. It's got egg and heavy cream in it which I've read don't always freeze well, but mixed into a meatloaf I'm thinking is different than mixing in a soup or something. I hope it works. In fact, I hope it all works. 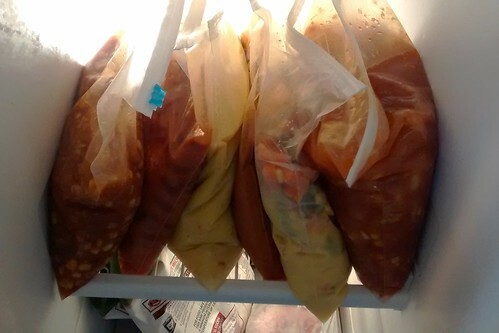 Of all the recipes, only a few of them I've ever tried in the crock pot (chili, chicken pot pie, tortilla soup), and only one of them (tortilla soup) is actually a "freezer meal" recipe. So it's going to be an interesting experiment. Or an expensive mistake. Learned The Hard Way: Next time, I will bake or boil all the chicken first before putting it in the bags. The breasts were frozen, but the room temperature of the ingredients thawed them a little. Not entirely, so I'm hoping I don't poison the whole family, but next time I'll use either fresh chicken or pre-cooked. Again, interesting experiment or expensive mistake. For the meals that work, I'll share the recipes. I'd hate to share my recipes before discovering if they work, because obviously. Furthermore, not all recipes are created equal. Some require longer cooking times and some need shorter. This is where further experimentation will be taking place. Some recipes I think I can safely set on Low all day long (from 7.30-5.45) without worry, like the chili. Others I'm not so sure about, like the meatloaf and the rice casserole. For recipes that generally require a shorter cooking time, I'll be breaking out my timer. My timer is just an extension I found in the electrical hardware section of Walmart. You plug it into the wall, set the current time, then set the on and off times and plug your slow cooker into that. Learned The Hard Way a long time ago: These only work with manual slow cookers. My larger one is digital, so when the power comes on at the set time, it just blinks and blinks, waiting for someone to input all the settings (time/temp). So yes, must remember to use manual cookers those days. And remember to set the correct AM/PM in order for it to turn on at the right time. I have definitely come home to a stone cold cooker before by setting the times wrong. Tricky. And as for the other days that won't be freezer meals, I intend to try baked potatoes in the crock pot, going out to eat (we have a date night planned for Friday, and we'll probably go to Zaxby's with kids one Wednesday when kids eat free), and easy breaded frozen chicken strips for a quick throw-in-the-oven dinner one other night. Now that all of that is ready, I feel a little more prepared for the morning. Mine and Scott's lunches are made and in the fridge. The kids are all packed up for daycare in the morning with their clothes laid out. My clothes are hanging up and ready to go. I've got all my pre-start paperwork together. 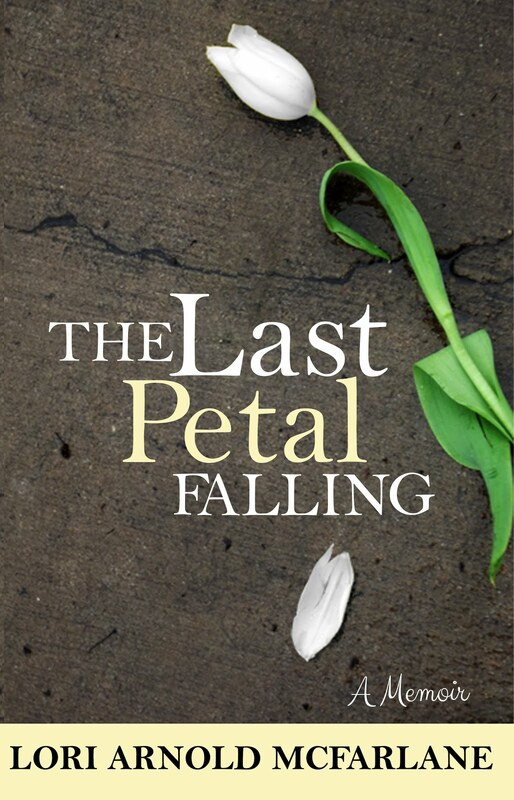 Now all that's left is to make myself a cup of tea, relax in a bath with my book, then retire to bed dressed in my workout clothes for 5am. When that alarm goes off at ridiculous o'clock in the morning, I'll be ready to go work out with my protein shake in one hand and a water bottle in the other. "Start as I mean to continue" I like to say. I'll workout for an hour, come home, shower off, eat breakfast, dress myself and the kids, and head out the door. I wish I could click "Like" on this comment. :) I am definitely extroverted and enjoy being around other people. I miss my kids something fierce, but I also love having a me-life again. I'm sorry your health is worsening. Is it better now that you've cut down your hours?